The District 14 Speakers' Bureau is a unique list of experienced and trained public speakers. They volunteer their time and talent to reach a broader audience with the goal to deliver thought-provoking and inspiring content. They volunteer on behalf of Toastmasters without charging for this service. Their audiences are varied; such as collegiate, civic organizations, governmental and professional groups. 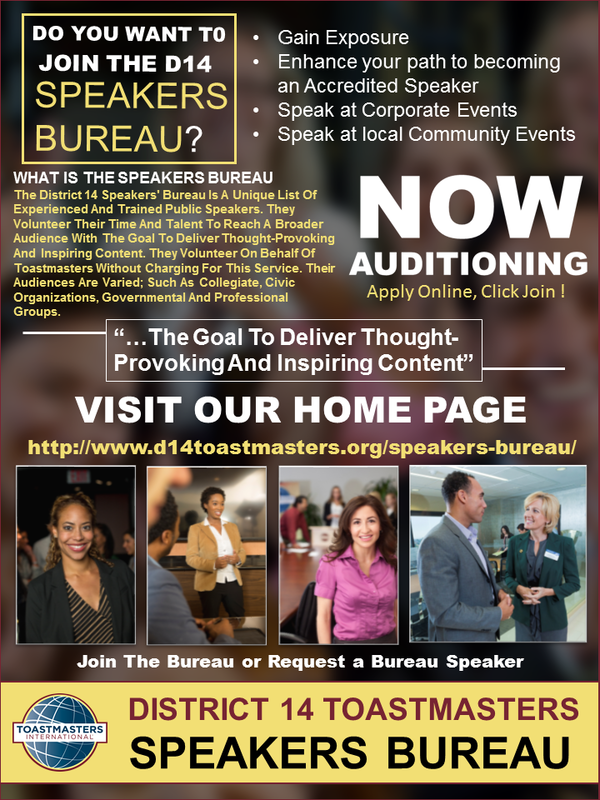 "The members of the District 14 Speakers' Bureau must meet specific standards to become part of team"